Whether it is cloud computing, the Internet of Things, unified communications, virtual data centres, video communications, new corporate applications… they are all placing new demands and expectations on your WAN (Wide Area Network) in terms of improved bandwidth, latency, resilience, security and scalability. This is why we have developed Vodafone Ethernet Services. A range of high-speed, high-performance networking services that enable you to connect together your major business sites, regional headquarters and data centres. Using Ethernet technology, it effectively allows you to extend your Local Area Network (LAN) into a private, application ready, global WAN. And with switched or dedicated Ethernet options, we provide a range of high-speed, low cost transmission solutions to meet your needs for point-to-point, hub and spoke, or any-to-any connectivity. Our Ethernet Services also work hand-in-hand with our MPLS, IPVPN and Global Connectivity portfolio, ensuring you are able to build a modern, enterprise grade hybrid WAN solution based on a blend of networking technologies to meet your organisation's specific needs. An MRI scan of a sick patient is 300GB and it needs to be shared with a specialist in another location to get the patient the right diagnosis. A strong Ethernet connection can send the whole file in a few minutes letting doctors make faster decisions and save lives. Sports fans want flawless, low latency, jitter free coverage of their games. A 10Gbps Ethernet connection between the stadium and the broadcast centre lets you broadcast in stunning 4k resolution giving your viewers the best experience on match day. Fortunes and reputations are made and lost in seconds, which is why financial institutions need the fastest connections available. Ethernet provides the necessary speed and bandwidth without the prohibitive cost of other means of fast data transmission. Banks generate vast quantities of data because every transaction must meet regulatory standards, often in several countries. 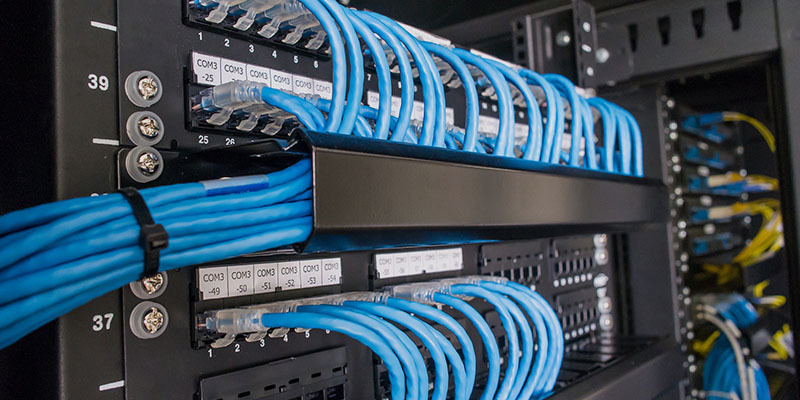 Transferring this data to keep records up to date requires a resilient, cost effective and always on connection, Ethernet is the best choice to keep the wheels of commerce moving smoothly. Our switched portfolio combines the benefits of Ethernet with our next generation MPLS/IP VPN service to connect your sites via our secure global network. It is fast and cost-effective, providing standards-based Ethernet connectivity up to 1Gbps, with options to flex bandwidth to accommodate extra traffic. And as the solutions are delivered over our next generation network, you can benefit from our full range of Global Connectivity products delivered on the same access connection. Our switched Ethernet connectivity is delivered in two flavours: Vodafone Ethernet Wireline – for hub and spoke or point-to-point connectivity, supporting several traffic types including voice, video and data. Vodafone Ethernet VPN – for any-to-any connectivity between your business sites, bridging your sites through a virtual private LAN service. Ethernet VPN lets you flex or prioritise bandwidth to cost effectively accommodate bandwidth-hungry applications or prioritise particular traffic types. Interested in our Ethernet Solutions ? Send us an ennquiry and one of our Sales Specialists will call you back.